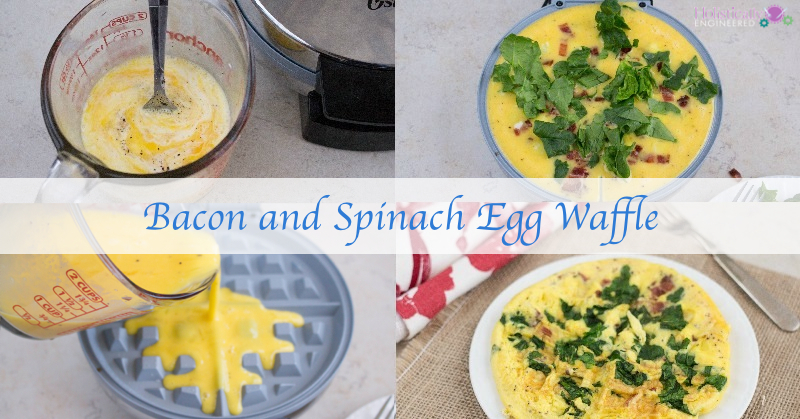 I personally don’t eat eggs for breakfast, but I get lots of requests from blog followers for easy low carb and paleo breakfast options. 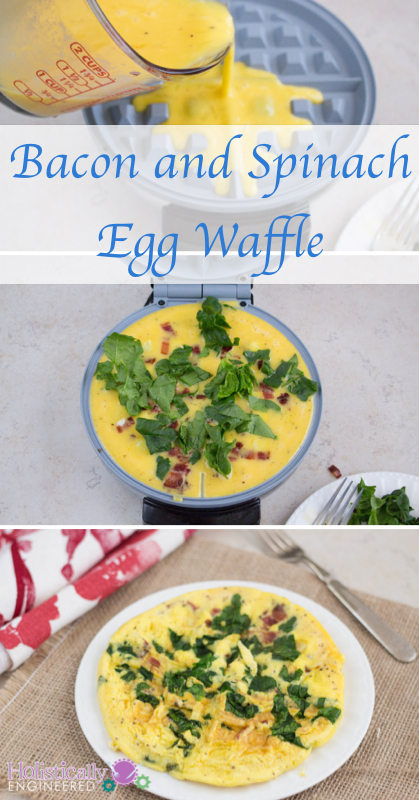 When I ran across an article about different things that can be cooked in a waffle iron I was surprised to see eggs on the list. Low carb/paleo folks typically eat lots of eggs so naturally I had to try out this crazy method for cooking eggs and put my own spin on it of course. So you might be wondering why bother with cooking eggs in a waffle iron when a pan works just fine. The good thing about the waffle iron method is that you don’t have to constantly be watching over the eggs (stirring, flipping, etc). You can just pour the eggs in and come back in 3-4 minutes to a perfectly cooked egg and if you leave it in there a little longer it will get darker, but not really burn (yes it’s possible to burn…don’t leave it in there all day). Another bonus of this method is that your breakfast is on the go. You can grab the waffle(s) and head out the door on those busy mornings. Also, it’s easy to customize your waffle just throw in whatever cooked meat, veggies (pre-cooked veggies may work better in most cases), cheese, etc. you prefer. Whisk together the eggs and coconut milk (or heavy cream). Add the salt and pepper (to your preference) and whisk to combine. Pour the egg mixture into the waffle iron until the bottom is just covered. Cook for about 3-4 minutes or until the eggs puff up. Carefully remove the waffle with a fork.